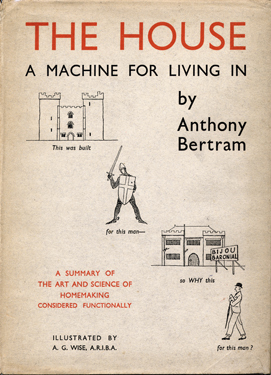 Born in 1897, (Cyril) Anthony(George) Bertram would probably have seen himself primarily as a novelist when the Week-end Review began, but he was far more successful as an art-historian and design writer. He died in 1978, having had published countless studies of a variety of artists from Matisse to Nash, and Goya to Hogarth, and Sickert to Modigliani. On the trivia front, his sister-in-law was Hugh Grant’s grandmother.